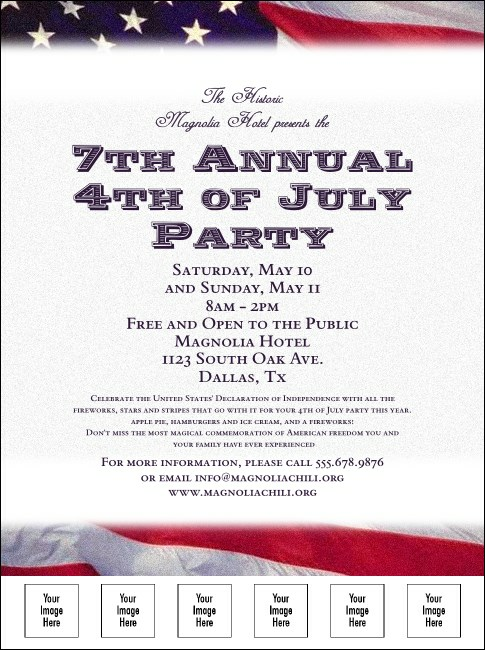 A patriotic themed flyer with an American Flag photograph set in the background which is great for political and 4th of July events. Fill in the easy template below with your event info and we'll send them your way! Make sure to browse through the extensive gallery of designs at TicketPrinting.com.